Desktop computer, media center How To Build a Media Center That Will Play Anything How To Build a Media Center That Will Play Anything I've been building a media centre recently. Actually, scratch that – I’ve been building two. One is a compact device (my Raspberry Pi) running the RaspBMC distribution of XBMC, while the other is a traditional... Read More , an integral part of a budget space program Raspberry Pi Projects: A Car With Night Vision, Google Glass-like Translation, And More Raspberry Pi Projects: A Car With Night Vision, Google Glass-like Translation, And More We’ve previously looked at some excellent uses for this British minicomputer, but the fact is that it is just so versatile that there is always something amazing to talk about. 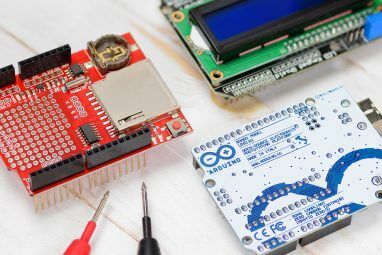 Who would have thought that... Read More – is there no end to the versatility of the Raspberry Pi? Seemingly not – because it also does games. Not, of course, the most recent, high definition games with astonishing graphics. Rather, the Raspberry Pi can be used as a retro gaming hub – a single device that can be used to run astonishing games on every platform from Apple II to PlayStation I thanks to emulation software. You’ll need all of the usual Raspberry Pi basics to build a RetroPie – HDMI or RCA cable 5 Ways to Display Your Raspberry Pi On a Monitor Or TV 5 Ways to Display Your Raspberry Pi On a Monitor Or TV Back in the 1980s and 1990s, home computers didn’t rely on dedicated monitors to display operating systems, applications and games. In those days, things were far simpler. Instead of paying extra for a monitor, the... Read More , SD card How To Choose The Right SD Card For The Job How To Choose The Right SD Card For The Job SD cards aren't all about storage! In fact, there are several other factors to consider, and when purchasing your cards, you should make yourself aware of them. That said, SD cards aren't all created equal,... Read More , USB keyboard and mouse, Ethernet connection – and as with an installation of media centres and other Raspberry PI operating systems you will need to prepare the software on your desktop computer first. The RetroPie software is basically EmulationStation and a stripped down version of Raspbian (the Raspberry Pi Debian distro). This is useful as it means you can use the GUI file browser to edit configuration files. 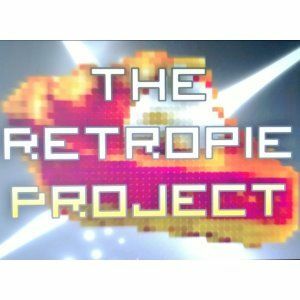 Visit petRockBlog to download the RetroPie Project SD card image, and grab the Win32 Disk Imager tool to “burn” the image to your SD card, as explained below. With both files downloaded, insert your blank, formatted SD card into your computer’s card reader. The RetroPie image is about 1.4 GB, but is downloaded as a ZIP file, so this will need unpacking. Unzip win32diskimager-binary.zip, and once done, open the destination folder to find the win32diskimager.exe file. Right-click this, selecting Run as administrator. Now that the tool is running, select the correct drive letter for your SD card; you may need to check Windows Explorer to confirm. Next, use the Browse option to find the unzipped RetroPieImage_verx.x.img, (the “x.x” portion of the file name will display the current version number) and with this selected, click Write. Writing the image may take a while, so you should find something else to do as you wait. The process for copying the image file to an SD card in Linux and Mac OS X is a little different, but you can find some quick steps on the RPi Wiki. Starting up your RetroPie system for the first time, you will be asked to configure your controller. Now, this isn’t the calibration that is needed to control the various games that you will be playing – rather, this is to configure your retro controller, joystick or even keyboard to navigate the EmulationStation software. You’ll see on the screenshot above that you need to configure various commands. Keep a note of these as you may find one or two of them useful very soon. Once you’re done, tap the button or key you set as Menu, and select Exit. This will quit out of EmulationStation and into the command line. This will launch Raspbian’s GUI, enabling you to make the necessary changes to your controller configuration. In the file manager, open RetroPie\Configs\all and run retroarch.cfg in a text editor such as LeafPad. The retroarch.cfg file is extremely useful, and you may find yourself editing it often, so make copies whenever you are about to make a change so that they can be easily undone. This will return the computer to RetroPie mode. With your Pi setup to run retro games, you’ll be able to start playing the included ROMs. These appear under the at-first-limited selection of emulators. The choice is limited at first because the vast selection of emulators included can only be run when there is a suitable ROM to play. Therefore, you need to “activate” your emulators with ROMs by copying them into the appropriate folder on your RetroPie. There are many websites offering retro gaming ROMs for download. Make sure, however, that you own the original disk, cassette or cartridge of the game you’re downloading. 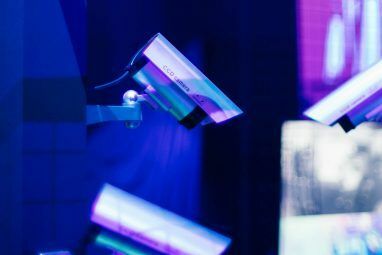 To add ROMs, the quickest way is probably connecting to your Raspberry Pi via SFTP (that’s like standard FTP but using an SSH connection) from your main PC and browse to the RetroPie\ROMs folder. Here, all of the subdirectories will house the ROMs that you download, and are labelled appropriately. All you need to do is upload them to the corresponding folders, then refresh the EmulationStation by restarting the device or navigating through the menus for a while using the controller configuration you configured earlier. I’ve used my Pi so far as a desktop and a media center, but the RetroPie is easily the most fun you can have with this mini computer that just continues to impress. Within minutes you can be playing some retro arcade classics from your favorite classic platforms, all powered by the Raspberry Pi. The possibilities with this setup are good, too. 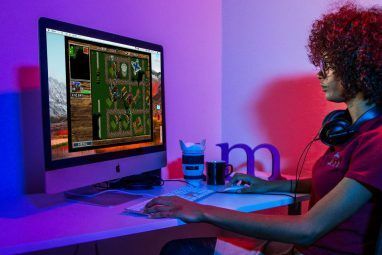 You might invite friends over to enjoy multiplayer games, or stick to just a mouse and keyboard to enjoy classic PC games under DOS emulation. Most of all, make sure you have some fun! Explore more about: Emulation, Raspberry Pi. Hey there, I am creating one of these for my college project, but I also need to make a game that'll run on Raspberry, so I want to know, is there a way to put a game that I created on the RetroPie and set up the RetroPie controls to read the arcade buttons as keyboard inputs? In this article the Pi is called a minicomputer. It is NOT. It is a microcomputer, just like any PC. A minicomputer is a computer in a class of its own, placed in between main-frames and microcomputers (PC and the likes). What sort of problem are you having, nelson? Do not forget to expand your file system with the tool "raspy-config" when using the RetroPie SD-card image so that you can use the full available space of your SD card. Awesome! I'll try this as soon as I can get this goddarn keyboard to work. Gawd. Try another one? I used the cheapest USB keyboard I could find. It says "Respawning too fast; disabled for 5 minutes" or something like that. Apparently I can SSH into the pi and change the keybind schematics? If that would help? Max, I had that and it turned out to be a corrupt image, downloaded it again and worked first time. I had quite a bit of trouble getting my "Raspberry Pi Retro Game Emulation Machine" up an running. I tried Chameleon, which looks very nice and also RetroPie, which is a tad easier to get running. My problem was, having uploaded the the ROMs, getting them to start in the emulators. You also need to make sure you have a controller that is properly configured in RPi. The Funinstall blog gives a very indepth guide on exactly how to to get RetroPie going if the guide here on Make Use Of doesn't do the trick.